My most read watch review is that of the Timefactors Speedbird I. Without fail, it gets read more than any other review I have written. Looking back at when the Speedbird was released, those days were truly exciting as there just weren’t many smaller brands out there. 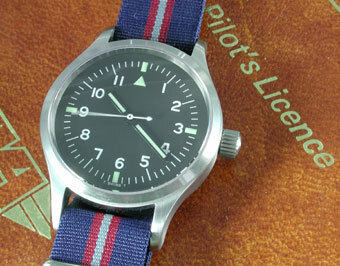 The Speedbird was pre Bill Yao and MKII Watches, pre Dievas, Deep Blue, Ocean 7, Yobokies et al. Microbrands now proliferate across the internet and all offer the watch enthusiast a real alternative to the High Street brands at value for money prices. Even when one wishes to spend north of say £1000 then there are brands out there that offer products that shame the big brands in terms of what our American cousins term ‘bang for buck’. Anyway, I have seen it written that the second watch from Timefactors, the Dreadnought PRS-2 was the watch that really started things off in the internet only, micro brand market and I would agree with this. However, I would like to think that the Speedbird PRS-1 (released some 18 months before the Dreadnought) played its part too. Why would I like to think that? Well, apparently, it was I who came up with the name! This little snippet was made known to me (I had long since forgotten) when I was recently chatting with the proprietor of Timefactors. Whilst my contribution is no doubt relatively insignificant, I’m proud to have named a watch that continues to be well known. So there! Tagged Speedbird I, Timefactors. Bookmark the permalink.